Strength and passion meet here in a well-designed repertoire of programs. We train men, ladies and children alike in various martial arts. 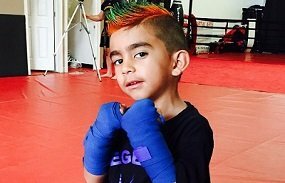 Based out of Brampton, Legends MMA is a one of a kind organization that combines expert trainers and flexible timings to bring out the best in you. Our training goes deep with a focus on stamina and expert moves. With our Boxing programs, we ensure that your stamina, strength and reflexes are all honed under one roof. Further, with Muay Thai, we put you through the emotion, style and delicate ease with which you can execute the moves smoothly. Kickboxing, finally, on our premises brings out the energy and agility required when training for such a program. 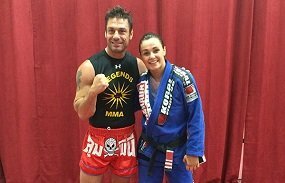 We also offer Brazilian Jiu Jitsu training which focuses on leverage and technique more over than physical strength, grappling and ground fighting are big components of this art. Our Karate program ensures a full body workout with a focus on endurance, strenght and flexibility, this is a fundamental combat form in many of the new martial arts which are popular today. 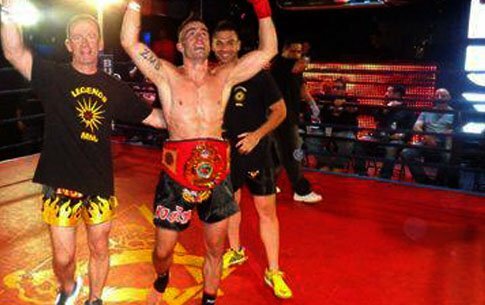 If you are looking to combine different fighting techniques then Mixed Martial Arts (MMA) is a great art faceting different technique. At our training facility in Brampton, we offer specialized services that are aimed to cater various age groups, keeping in mind various physical peaks and abilities. With Boxing, Muay Thai, Kickboxing, Brazilian Jiu Jitsu, Karate, Wrestling, MMA and other training programs, we try and imbibe the discipline required to practice martial arts on a lifelong basis. We promote these martial arts as tools with which you can ensure your safety besides ensuring that these tools become a vital part of your daily life. Strength, stamina and renewed energy will be with you for all times to come with the kind of training that we impart. Further, with a special focus on children, we ensure that discipline becomes a part of their young lives and physical development is at its very excellent best in their growing bodies. We bring together the classic, the oriental and the energetic tools of martial arts to give you the very best of all worlds! 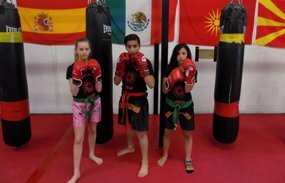 Be a part of Brampton’s leading Mixed Martial Arts Studio that has state-of-the-art facilities and experienced trainers. Legends MMA has specialized programs for various forms of martial arts for men, women and children. 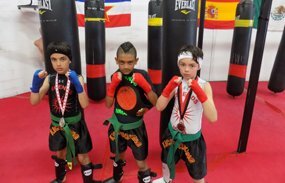 Our studio focuses on developing skills and various aspects of an individual and not limited to impart training on various combat techniques. Every student has a different reason to join the studio and try our best to accommodate individual goals into our training sessions. Personal goals may vary from mastering self defense techniques, weigh reduction, staying active and in shape or become a professional fighter – we have programs to meet all expectations. Check out our Kids and Youth sections for more information on programs specially designed for kids and adolescents.
" 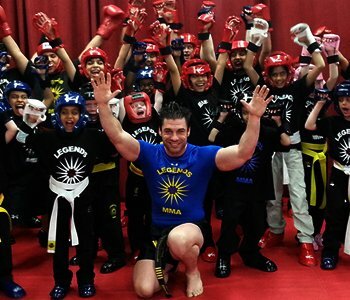 Legends MMA is one of the best in GTA, where students are trained with passion and intensity. The studio offers training for various forms of martial arts as well as phys…"
" Intensive training by Master Billy in Legends MMA helps students master techniques needed in various martial arts like karate, Brazilian Jiu-Jitsu, Muay Thai Kickboxing…"
"Master Billy is by far one of the best trainers for physical fitness in GTA. With more than ten years of experience in teaching and training, adults and children alike, h…"